In one of his last roles, the great Edward G. Robinson plays an elderly man who may or may not have witnessed the murder of his friend. This telefilm is as much a thriller as it’s a heartbreaking look at how we treat the old. It’s a poignant and gripping TVM that also features Martin Balsam, Ed Asner, and Diane Baker. But, truly the telefilm rests on the shoulders of Robinson who is excellent as he takes us through to the tough, uncompromising and somewhat shocking ending. If you need a little pick me up afterward, this might make a good double with Robinson as the kindly but deathly ill grandpa in The Night Gallery holiday episode The Messiah of Mott Street. Another film I caught on the local station when I was about 10 or so, this is one of those movies that ages like fine wine. Peter Falk is Griffith, the romantic lead, but a troubled one as well, as he’s just found out he’s dying. He meets up with Phoenix (Jill Clayburgh), who has been diagnosed with terminal cancer. They unwillingly fall in love and share their ordeal. The result is romantic, poignant and heartbreaking. Watching the film now, as an adult who has suffered their own fair share of loss, Griffin and Phoenix is elegant and cathartic. I’m not sure why this film remains so obscure. It’s lovely, and important. Written by the creators of Columbo, Richard Levinson and William Link, Murder by Natural Causes is one of those films I was lucky enough to catch a few times as a kid, thanks to our local station. I was probably too young to fully understand the brilliance of the twisty twists, but I appreciated the story, which captivated me. And this may be where I first fell in love with Barry Bostwick, who plays a hammy actor, but doesn’t ham up the role to do it. The story is simple: A famous “mind reader” has a weak heart and his philandering wife thinks she can scare him to death. The plan is ludicrous but gripping, and Murder is brimming with smart dialog, energetic pacing, and quite a few nice surprises. Well worth a visit. This comedic spoof is a must for fans of seventies cop dramas. You’ve got Nojack (Gavin MacLeod), Ironbottom and his assistant, Parks (Victor Buono and Jimmie Walker), Pepper (Connie Stevens), MacSkye (Buck Owens), Studsky and Hatch (Jamie Farr and John Byner), Polumbo (Burt Young) and Lambretta (Tony Danza) as the goofy long arms of the law. Unfortunately for this group, someone has targeted the bumbling gumshoes and is picking them off one by one. Luckily for the audience, this film is laugh-out-loud funny. It’s not nearly as sophisticated as Murder By Death, but it is hijinks galore, and a real treat just for MacLeod’s Nojack. The actor puts in one of the most unabashed performances I’ve ever seen. He shines big and bright and hysterically, and his castmates seem to be having just as much fun in their roles. Moreover, if you’ve ever wondered what Mrs. Columbo was really like, ummm, well… see for yourself (PS: It’s amazing!). The 1990s is the most maligned decade for the network telefilm, but I feel that’s somewhat unfair. Sure, budgets were smaller, and the film had a more static appearance, but some films just hit the right spot. On the Line features Linda Hamilton as a cop working on the sexual assaults unit. Hamilton starts bringing the traumas of the victims back home, and finds that maybe working in homicide might actually be better for her mental stability! She is assigned to find a group of murderous bank robbers, but she also has to deal with her chauvinistic co-workers. This is an oddball but amazing film, which also features Jeff Fahey as her partner. There’s also gratuitous Coolio here in a fairly stylish late entry telefilm. There’s just something about this film, probably thanks to Hamilton who is amazing. There’s also a grittiness and a shocking ending that had my jaw on the floor. Look, it’s not reinventing the wheel, but it is a solid telefilm that I find myself returning to time and time again. Amanda Reyes is an archivist and historian. She sometimes works as a freelance writer and runs the popular blog Made for TV Mayhem, which gives her an excuse to watch everything from Snowbeast to Danielle Steele's Daddy. Amanda also loves soap operas, Hart to Hart, her husband, and two cats (but not always in that order). She contributed essays to the books When Animals Attack: The 70 Best Horror Movies with Killer Animals and Yuletide Terror: Christmas Horror on Film and Television. 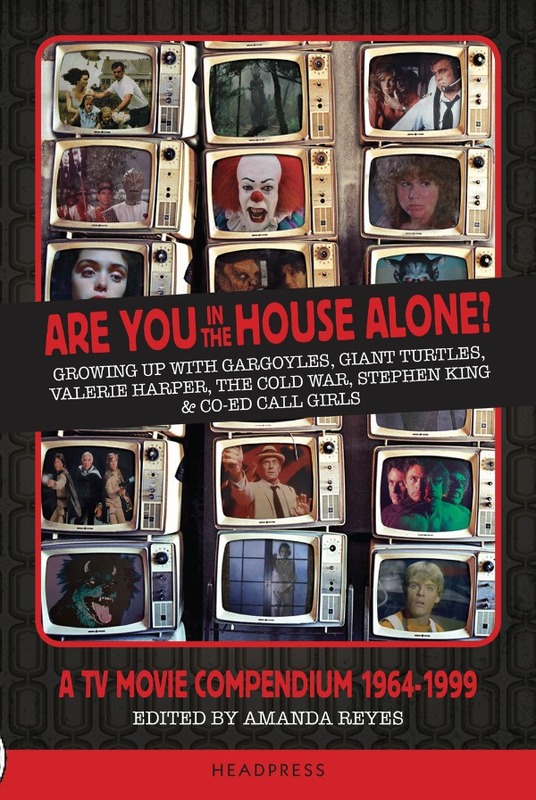 She recently published her first book Are You in the House Alone? A TV Movie Compendium 1964-1999. Happy New Year! Thanks for the recommendation! Thank you for the recommendations! Excellent as always! Speedypaper is the best writing service! click here: Do you love watching movies and TV series? Are you searching for an app that lets you watch your favorite shows and movies for free? If yes, then you are in the right place. In today’s post, we will be discussing Tubi TV. Tubi (a.k.a. TubiTV) is a movie and TV streaming service that you can download and use for absolutely free. https://papercoach.co/ it's a students’ academic helper website. There, you will find assistance with any issue related to the study. Obviously you need to deliberately choose the locales that will give you what you need. Simply be careful with sites with a great deal of spring up advertisements that could introduce adware and spyware to your PC putting your security in danger. All you need is a good beginning for your paper. Watch here https://persuasivepapers.com/how-to-start-a-persuasive-essay/ how to start an essay.